SCINTOMICS is the manufacturer of the industry famous GRP (Good Radiopharmaceutical Practice) for the synthesis of a wide range of radiopharmaceuticals.bEspecially for the reliable production and the dispensing of radiopharmaceuticals in a clinical environment, the use of disposables is an attractive alternative to conventional modules. 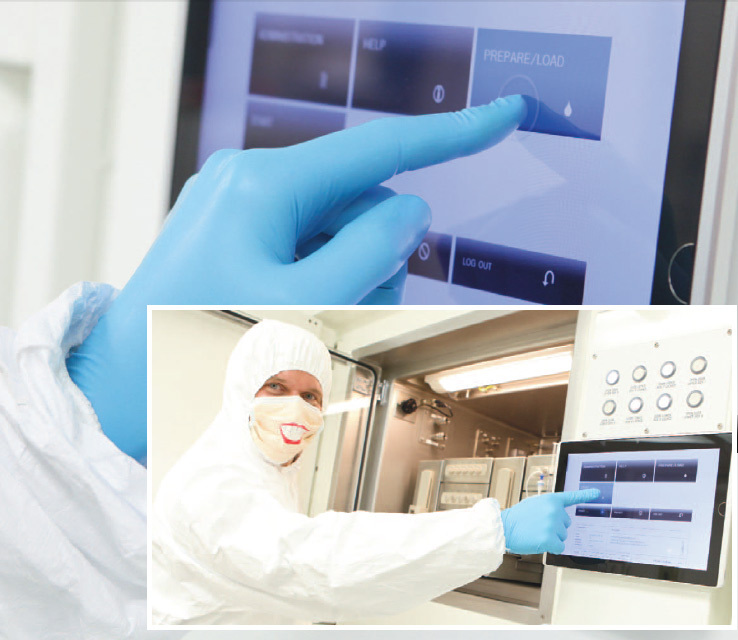 SCINTOMICS new GRP (good radiopharmaceutical practise) modules combine functionality and performance with GMP/cGMP requirements into one piece of equipment especially designed for radiopharmaceutical production. 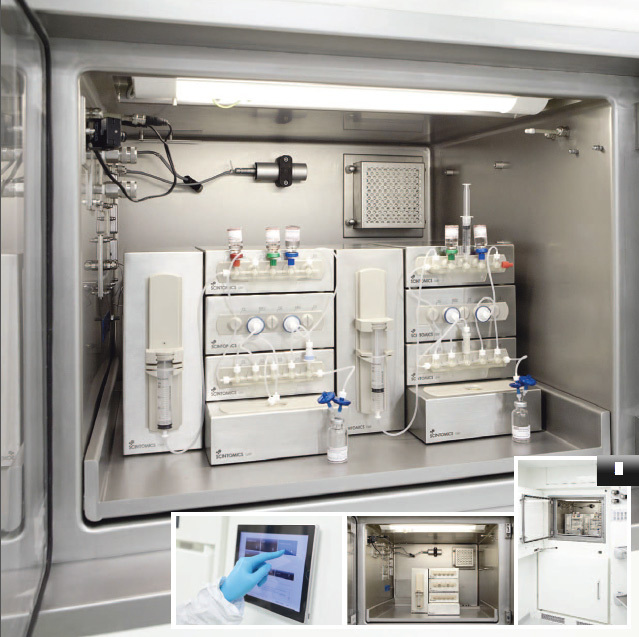 GRP modules are equipped with ready-to-use disposables and certified reagent kits. This allows for constant innovation and research for customized radiopharmaceuticals along with the wide range of the ones available like F-18-FDG, F-18-FMC, F-18-FET, F-18-FLT, F-18-FMISO, F-18-Fluoride, C-11-CHO, C-11-MET, Ga-68-DOTANOC, Ga-68-HA-DOTATATE, Ga-68-Pentixafor, Ga-68-Avebetrin, Ga-68-PSMA-HBED, Ga-68-PSMA I&T, Lu-177-PSMA I&T, Lu-177-HA-DOTATATE, etc.